It's not just the kids that people look at oddly because they have autism. Never mind their peculiar behaviour, screaming collapses, strange way of talking or just complete lack of speech, I'm 'odd' even when I'm on my own thanks to my latest clothing trend. Red is definitely not my usual colour, but it has been this week. Every Friday, Rainbowsaretoobeautiful publishes the most popular post from the previous week. Read the rest of Sporting Red plastic belt accessories for half term here. 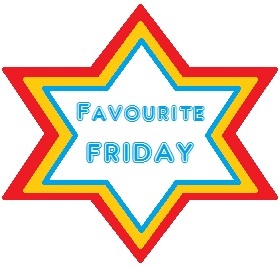 Why not catch up here and see all the Favourite Friday posts. Hello, your article is very interesting as I read it. Please do visit my site too if you have time. Thank you and God Bless!.